This makes a large batch, but you can store it for a while. 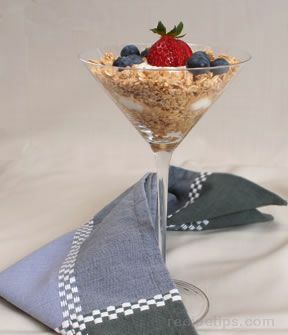 Use it as a topping for your fruit and yogurt parfaits, or as a breakfast cereal, or simply as a snack. Everyone will love this. 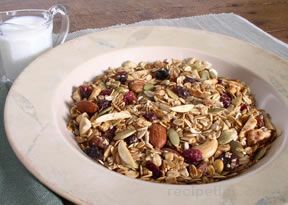 Mix together oats, nuts, coconut oil, honey and vanilla. Bake at 325Â° for 30 minutes in large pan, stirring every 10 minutes. You may stir in dried fruit after baking, if desired. 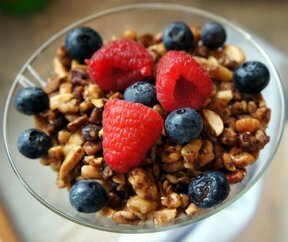 "I skipped the oats and just used nuts, chopping them lightly. I halved the rest of the ingredients and omitted the dried fruit. 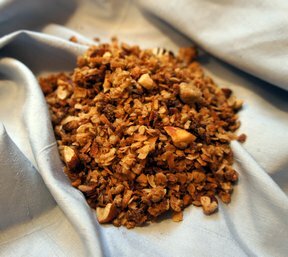 This is my girls' favorite granola so far! And I have tried alot."